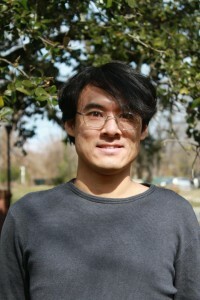 Hampton, Va.- Dr. Kunio M. Sayanagi, assistant professor of planetary science at Hampton University, has been selected by the U.S. National Academy of Sciences to present at the inaugural Forum for New Leaders in Space Science program, which is a joint program with the Chinese Academy of Sciences. The Forum is designed to provide opportunities for a highly select group of young space scientists from the United States and China to discuss their research activities in an intimate and collegial environment at meetings to be held in the United States and China. The first Forum will be held, in the Beijing-area on May 8-9, 2014. The second Forum will be held in the Los Angeles-area on Nov. 3-4, 2014. The scientific scope of both events in 2014 is limited to the general areas of space astronomy and solar and space physics. Both events will include focused presentations by young scientists interspersed with topical presentations by senior scientists and group discussions. The US National Academy and the Chinese National Academy each selected 8 participants to be part of the joint program. Dr. Sayanagi earned his B.S. in liberal arts with emphases in physics and applied math from Juniata College in Huntingdon, Pa., and M.S. and Ph.D. in physics from the University of Arizona, in Tucson, Az. He has also served as a panelist on the 2009-2011 Planetary Decadal Survey by the National Research Council of the United States National Academies, and made recommendations to NASA and NSF on the planetary science research priorities in the 2013-2012 decadal period. “I’m humbled to be one of the two planetary scientists from the US selected to be part of the Forum,” said Sayanagi. “In Beijing, I plan to talk about planning for the retirement of the Hubble Space Telescope, and identifying key capabilities that need to be maintained in the future.